Same high performance, signal conditioning, and programmable features as Laureate digital panel meters, counters, & timers. Splits 1 input signal into 4 independent 4-20 mA current loops with ± 10V common mode isolation between input & outputs. Priced at only $200 for AC power or $230 for 24 VDC power. Converts Ethernet serial data to an isolated, scaled analog output signal. DIN rail mounted, digitally programmable. Includes two relays for alarm or control. Exceptional accuracy at high update rates. Scalable for process signals requiring zero and span adjustment. Ideal for pressure & flow. DIN Rail mounted, digitally programmable. Dual channels with rate and total in same transmitter. DIN Rail mounted, digitally programmable. Scalable to flow rate or total flow from process signals. DIN Rail mounted, digitally programmable. 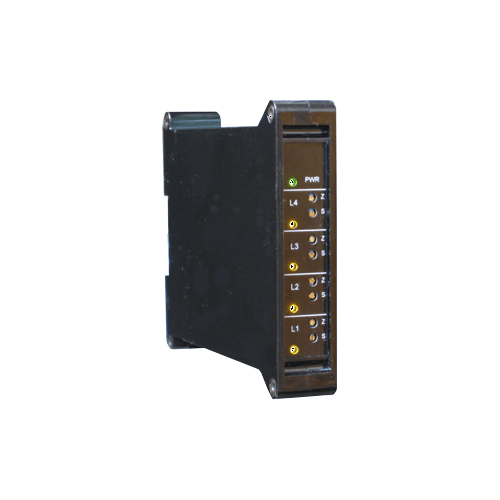 Applicable to Rate or Total for two pulse channels A & B. DIN Rail Mounted, digitally programmable. Transmits duty cycle in percent or pulse width modulated input signals in engineering units. DIN rail mounted, digitally programmable. Resolution to 0.2 µs. Duration to 999,999 hrs. DIN Rail mounted, digitally programmable. From 1µs to 199.999 s. Resolution to 0.2 µs. DIN Rail mounted, digitally programmable.